The lush warm weather of Florida provides a greenhouse for fruitful produce almost year round. Strawberry season in Florida begins in December and stretches into April when the warm sun and cool breezes cultivate the freshest berries. There are quite a few U-Pick strawberry farms in Orlando. Stroll along the lush lines of strawberry patches with your little cuties and make memories all while enjoying the fruits of living in Florida. Where can you pick strawberries in Orlando? Here are a few of our top picks. Lavoie Farm is your local hydroponic strawberry farm and blueberry farm. 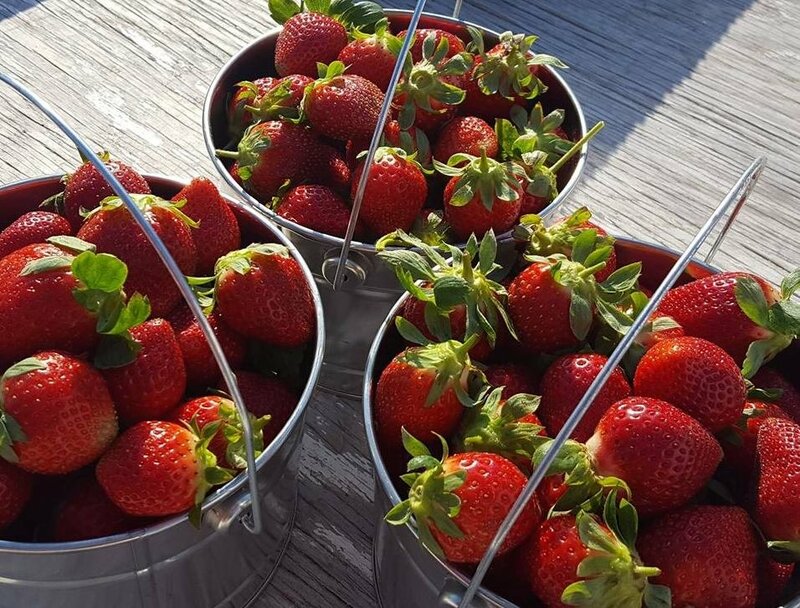 They use all natural and organic methods to produce their crops and plan on having more vegetables to come in the future as well as Raw honey and u-pick strawberries in Orlando. Pappy's Patch U-Pick Strawberries in Orlando has been a family loved destination for many years. Thanks to the warm winter weather you can pick strawberries for $3 a pound. When the blueberry season comes around pick your fill for $4.00 per pound April-June. The family-owned farm comprised of 20 acres of pine trees and palmettos has flourished into a farm complete with citrus groves, strawberries, blueberries and peaches. The U-Pick and farm stand where you can pick strawberries in Winter Garden with the family. A Patch of Blue is a family owned U-pick strawberry farm in Orlando, Florida. They are open for blueberry season April-May and now have their very own hydroponic vertical strawberry farm season as well. If you're interested in taking the kids on a little road trip, the Florida Strawberry Festival is an annual event that takes place in Plant City, FL where you can pick strawberries until your heart is content. Have a berry picking patch that wasn't included? Tell us in the comments below. Stay connected to all the outdoor fun and family-friendly events in Orlando by subscribing to 407area.com. It's FREE!